Fame Q&A: “What can I write a song about?” – Live! Starring ... You! 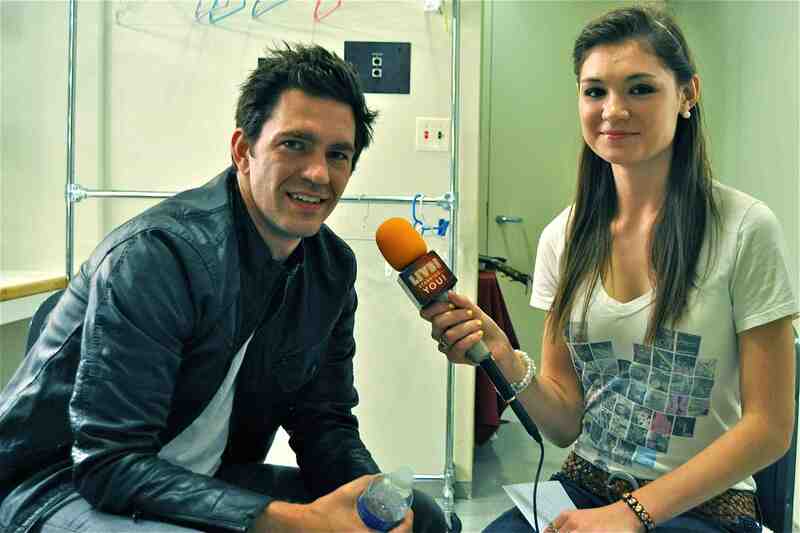 Singer-songwriter Andy Grammer told LSY!’s Jessica Wojcinski that it’s “heartbreaking” when some criticizes a song that’s driven by your emotions. Good question …. glad you asked! A while back I interviewed two guys from a band named Tonic, which had a big hit in the 1990s called “If You Could Only See.” They still write music and I asked them about it. The lead singer, whose name is Emerson, said his advice is to write about whatever you’re feeling at the time. He said, “If you’re feeling happy, write about being happy. If you’re feeling low, write about being down. If you’re in the middle, write about the middle.” So … think about whatever you’re feeling now, brainstorm some words or phrases that describe it, and see if some poetry (song lyrics) emerges. Lots of songwriters compare their craft to writing in a diary. They channel all their emotions into their music – then share it with the world. There’s a danger in this, of course: People won’t always like your music, and when they criticize something so personal, it can feel like they’re being critical of you. All the best with your songwriting, Ellie!